The Statue Park proposed by Arts and Culture Minister Nathi Mthetwa is not a viable, sustainable or South African solution to addressing the painful and divisive legacy of our past, or the building of an inclusive future. The proposed Statue Park of South African history is a sideshow by government that seeks to further distract from the ANC’s failure to deliver services and ensure broad-based transformation 21 years into our democracy. To place the blame for a lack of progress on statues, many over a century old, makes a mockery of the cause of true transformation in our society. The DA reiterates its commitment to the Constitutional vision of an inclusive, transformed society, and the project of reconciliation and nation-building. This vision compels us to build, rather than destroy. It compels us to build a nation, mindful of its past, but committed to inclusion, equality, freedom and human dignity. It compels us to strive tirelessly for meaningful, broad-based and substantive transformation. We reiterate our position that our public spaces – memorials, monuments and statues – should be enhanced through the building of new statues, and the repurposing of existing ones to showcase our diverse history and aspirations for the future. 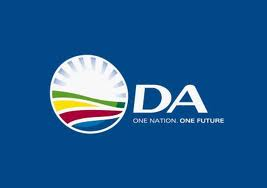 In Pretoria, the DA has proposed that Church Square – once the political centre of the Zuid-Afrikaansche Republiek – be the starting point of an Avenue of Reconciliation down the pedestrian mall towards the Union Buildings. Its starting point would mark the South African effort to resist and fight British imperialism and colonialism, followed by the marking of a journey that was embarked on to first divide and oppress the majority of South Africans, but which later turned into the South African miracle transition that the world looks to for inspiration. The culmination of this Avenue of Reconciliation should be marked by symbols representing the Constitutional vision of a truly transformed, inclusive, united and prosperous South Africa: a vision that should constantly be renewed and pursued. We agree with Minister Mthethwa that “whether it is Paul Kruger or King Tshwane, all the statues should not be removed. It doesn’t matter how you feel about that statue”. The removal or destruction of these statues does not facilitate a meaningful public dialogue on our past or provide a constructive means of addressing it. The DA believes that constructive dialogue is needed to remind South Africans that we have overcome racist oppression and division, but also that we should have a common purpose and vision to ensure a prosperous country for all who live in it.